Rehoming your pet with an online ad may seem harmless enough, but is it the safest route? About a month ago, a Staffordshire Terrier mix was found with electrical tape binding her mouth shut and cutting off circulation to part of her muzzle and the blackened tip of her tongue. Caitlyn’s story ended better than others. She fell into the right hands (after escaping the wrong ones), was given much needed medical attention and her abuser was caught. Sadly, her plight isn’t one-of-a-kind. Every day, pets are given away, abandoned and sold by people who can no longer provide care. Caitlyn’s story may not have reduced the number of pets who need to be rehomed, but it did shed light on the dangers involved. “Free to a Good Home” ads have good intentions behind them. They really do. People who are suddenly unable to care for their pets are trying to do the right thing. A puppy tortured and starved after being given to a “wonderful” adopter online. 20 dead animals found at the home of a man who adopted the animals via Craigslist. 29 dead puppies removed from the home of a man who adopted them online. The “Craigslist Dog Killer” arrested after dismembering 5 dogs in a hotel room. We’d all like to assume that we’re great judges of character and can see a monster coming a mile away. But some monsters aren’t that terrifying on the outside. And some are masters of deception. They shouldn’t mind paying a rehoming fee. They should ask a lot of questions about the pet. They should make multiple visits and engage with the pet. They should be OK with you visiting their home. Everyone living in the home should visit the new pet before adopting. This is far from a complete list, but it’s a starting point. Charge a rehoming fee. Pets listed as free (or almost free) have no value to the person reading the ad. Where there is no substantial financial commitment, there is no loss when the pet is resold, injured or killed. Get personal with the adopter. Ask for information about everyone in the home, what the pet’s daily routine will be and to visit the home to make sure it’ll be a good fit. Create a contract obligating the adopter to maintain communication with you and to return the pet if things don’t work out. Before posting an ad, consider other options. First, are you rehoming for the right reasons? If your pet’s behavior is the cause, consider contacting an animal trainer or veterinarian for possible solutions. Rehome with family or friends — people you trust. If your animal is a purebred, contact a rescue group. Take your pet to a shelter. Rescues and shelters have the resources to perform more rigorous background checks on their adopters, increasing the chances of a safe and happy placement into forever homes. Every day newspaper ads, online forums, rescues and shelters are packed with companion animals in need of new homes. And every day thousands of those pets find the homes they deserve and get to live out their lives happily loved. 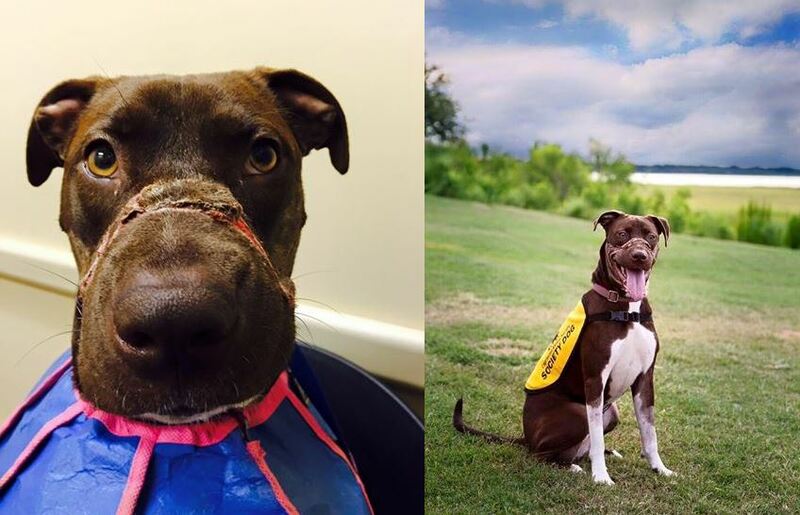 Caitlyn’s story is one of a few similar stories that account for only a sliver of the happy tales of rehomed pets. But while even a few of those heart-wrenching stories are still happening, please be aware of the dangers and take every precaution if you rehome your pet.